Crash Bandicoot N. Sane Trilogy looks like it will deliver a potent shot of nostalgia when it spins onto PS4 next month, but will that be it? 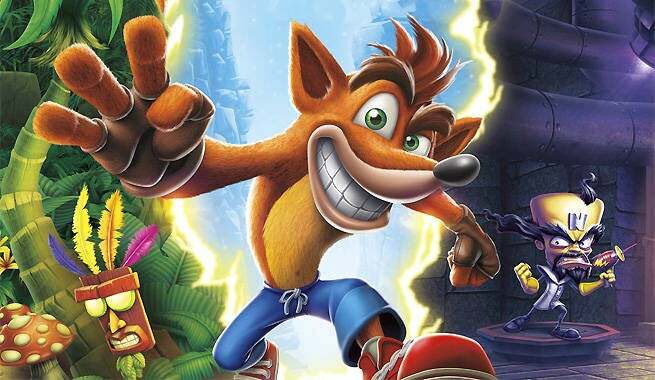 Based on the reaction to N. Sane Trilogy, there seems to be a lot of renewed interest in Crash and his furry Australian pals, so could more remasters and even original titles be on the way? Vicarious Visions producer Kara Massie recently sat down for an interview with British newspaper Metro, during which she spoke a bit about our favorite orange marsupial’s future. “If [Crash Bandicoot N. Sane Trilogy] is a one-off or not is a little bit “to be decided.” When [PlayStation of America boss] Shawn Layden wore that Crash Bandicoot T-shirt a few years back people went crazy. For years people had been asking to bring these games back and I think people saw it was the 20th anniversary last year and suddenly the series just seemed really timely. I’d like to see a revamped Crash Team Racing, the more kart racers the merrier, I say, but I’d really love to see Vicarious Visions try their hand at an all-new entry. Yeah, some of the post-Naughty Dog Crash games have been pretty mediocre, but I think Vicarious could do something special given the proper time and resources. Online detectives have uncovered evidence of as many as six cut Crash Bandicoot levels, including some that were fairly far long in development, so N. Sane Trilogy could have a nice collection of fresh content! Crash Bandicoot N. Sane Trilogy spins onto PS4 on June 30.